Head and neck cancer is a general term used for a range of cancers that start in the head and neck of the body. This region includes the mouth, tongue, palate, jaw, salivary glands, tonsils, throat (pharynx), voice box (larynx), nose and sinuses. Head and neck cancers occur when malignant tumours grow in any of the tissue or lymph nodes in the head or neck area. Not all tumours in the head and neck are malignant. Cancers of the head and neck are categorised by the area of the head or neck where they begin. The mouth, also called the oral cavity, includes the lips, gums and tongue.The muscles at the base of the tongue continue into the upper throat (oropharynx). Cancer that starts in the mouth is called oral cancer. Cancer can begin in any part of the mouth – the lips, gums, inside lining of the cheek and lips, front two-thirds of the tongue, floor of the mouth under the tongue, bony roof of the mouth (hard palate), and the small area of gum behind the wisdom teeth. The salivary gland makes saliva. There are three major salivary glands; parotid (in front of the ears), sublingual gland (under the tongue) and submandibular gland (under the jawbone). Most salivary gland cancers affect the parotid glands. The throat, also called the pharynx, is a hollow tube that starts behind the nose and leads to the food pipe (oesophagus) and the windpipe (trachea). Cancer can affect the three parts of the pharynx; nasopharynx, oropharynx and hypopharynx. The voice box, also called the larynx, is a short passageway that connects the lower part of the throat (hypopharynx) with the windpipe (trachea). Cancer that starts in the larynx is called laryngeal cancer. The nasal cavity is the large, hollow space inside the nose. The bones around the nasal cavity have a group of small, air-filled spaces called the paranasal sinuses. 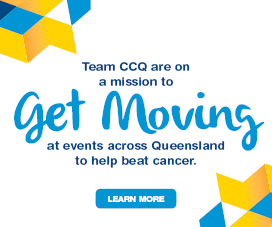 About 800 people in Queensland are diagnosed with head and neck cancer each year. One in 36 men and 1 in 114 women will be diagnosed with a head and neck cancer by the age of 85. Smoking tobacco (including cigarettes, cigars and pipes) – compared to nonsmokers, smokers have about 7 times the risk. Drinking alcohol – compared to non-drinkers, drinkers have about 6 times the risk. Older age – head and neck cancers are more common in people aged 40 years and older. Being male – men are about three times more likely than women to develop head and neck cancer. Viruses – the human papillomavirus (HPV) has been linked to cancers of the oropharynx, and may play a role in other head and neck cancers. Exposure to Epstein-Barr virus (EBV) may also be linked to the development of some head and neck cancers. Family history – people with a parent, brother, sister or child with head and neck cancer have double the risk of developing some types of head and neck cancer. Being from southern China or South-East Asia – people from some cultural backgrounds may be more likely to develop some types of head an neck cancers, because of chewing tobacco or eating salty fish. Chemical exposure at work – breathing is asbestos fibres, wood dust, dry-cleaning solvents or certain types of paint or chemicals is associated with an increased risk of some types of head and neck cancer. 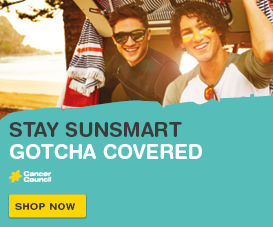 Sun exposure – ultraviolet radiation may cause skin cancer on the lip. Low immunity – people with low immunity conditions, such as those who have had a kidney transplant, have higher risk of developing oral and oropharyngeal cancer. Areca nut, betel nut, paan or gutka – chewing or smoking these products may cause oral cancer. Having one or more of these risk factors does not mean you will get a head and neck cancer. Talk to your doctor if you are concerned about any of these risk factors. There are many possible symptoms of head and neck cancer. However, these symptoms can also occur with other illnesses, so they don’t necessarily mean you have cancer – only tests can confirm the diagnosis. If you are concerned about these symptoms, make an appointment with your general practitioner (GP) without delay. See Understanding Head and Neck Cancer booklet for specific symptoms depending on the location of the head and neck cancer. There are many possible symptoms of head and neck cancer. However, displaying these symptoms does not necessarily mean you have cancer. Only a qualified medical practitioner can make this diagnosis. To diagnose a head and neck cancer, your GP or dentist may do some general tests and then refer you to a specialist for additional tests. Depending on your symptoms, tests will include examinations, tissue sampling (biopsy) and imaging tests. You may also have blood tests. Physical examination – the doctor will examine your mouth, throat, nose, neck, ears and eyes depending on your symptoms. A spatula may be used to see inside the mouth more clearly. Nasendoscopy – examination of the nose and throat using a thin flexible tube which has a light and camera on the end. Laryngoscopy – a procedure that allows a doctor to examine your larynx and pharynx, and take a tissue sample. Biopsy – the doctors removes a sample of cells or tissue from the affected area, and the pathologist examines the sample under a microscope for any cancer cells. Testing the lymph nodes – the lymph nodes are often the first place cancer cells spread outside the primary site. Some or all of the lymph nodes are removed and checked for cancerous cells. X-ray – of your head and neck to check for tumours or damage to the bones. The main treatments for head and neck cancers are surgery, radiation therapy or chemotherapy. You may have one of these treatments, or a combination. The types of symptoms and side effects you experience. For more information on the treatment of head and neck cancers please refer to the Understanding Head and Neck Cancer booklet. Prognosis means the expected outcome of a disease. You may wish to discuss your prognosis and treatment options with your doctor, but it is not possible for any doctor to predict the exact course of the disease. Instead, your doctor can give you an idea about the general prognosis for people with the same type and stage of cancer. In most cases, the earlier head and neck cancer is diagnosed , the better the chances of successful treatment. To work out your prognosis , your doctor will consider your test results; the type of head and neck cancer and the rate of growth; how well you respond to treatment; and other factors such as your age, general fitness and medical history. 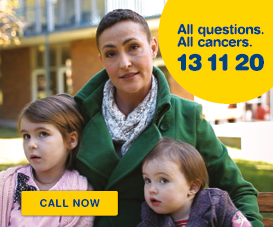 Whether you have been diagnosed with a head and neck cancer, or have a family member or friend who is affected by cancer, there are times when you may need support. Our professional services and support programs are here to help you. For more information on head and neck cancer please refer to the Understanding Head and Neck Cancer booklet. You can download a PDF or order a hard copy. Visit our Community Resources page for videos from recent Head & Neck Forums.